A live audience ticket to the most-watched US presidential debate in American history had to be harder to come by than orchestra seats to the Broadway hit show “Hamilton.” But when you’re the man behind the mammoth super PAC (super political action committee) that’s funding one of the two candidates on stage, that candidate being your fellow billionaire, that seat might have been a bit easier to land. 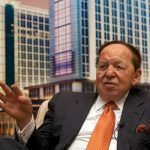 Sheldon Adelson is spending in the neighborhood of $100 million of his own money on said super PAC for GOP candidate Donald Trump, hoping to ensure that Hillary Clinton never again calls the White House her home. 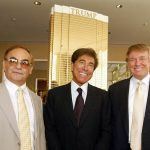 The Las Vegas Sands multibillionaire is hoping he can use his wealth to help land the somewhat less-billionish Donald Trump in the Oval Office come January 2017. 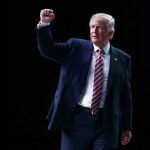 During the first of three presidential debates, it was obvious Adelson is the Republican Party’s most important benefactor for the 2016 election. Held at Hofstra University on Long Island, Adelson, his wife Marion, and two other personal guests, were seated in row three of the arena. Adelson’s group sat directly behind VP nominee Mike Pence and Trump’s progeny in the first row, and Republican National Committee Chairman Reince Priebus and trusted policy advisor Senator Jeffrey Sessions (R-Alabama) in the second. Sessions was reportedly instrumental in helping Trump select running mate and Indiana Governor Mike Pence to join him on the GOP ticket. Apparently family and party power players trump even the biggest financial backers when it comes to importance for debate seating. As for the action on the actual Hofstra stage, Clinton, who hinted she wouldn’t engage Trump on petty issues prior to the event, did just that, and Trump took the bait. “She doesn’t have the look. She doesn’t have the stamina . . . to be president of this country, you need tremendous stamina,” Trump answered. “I never said that,” Trump rebutted. The polls immediately following the debate showed a slight edge towards Clinton in deciding who won the debate. Other pundits said Trump held his own, and since he was the underdog entering the contest, he effectively won. The biggest win was Clinton’s avoidance of any substantial conversation on her private email server, which several post-debate critics called Trump on the carpet for not mentioning more vociferously. Internet security was a topic during the debate, as the two discussed the ongoing threat of cyber espionage from countries like Russia and China. It was an opportunity missed by Trump to bring into question Clinton’s unsecured email server hosting classified information, which she utilized during her time as secretary of state. 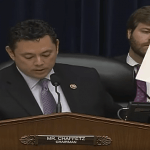 Adelson likely would have enjoyed a better response on internet security from his candidate. He has long championed the Restoration of America’s Wire Act (RAWA), the anti-online gambling federal measure, on concerns that online casinos cannot adequately protect against minors accessing these sites, and the fear that it will create a nation of compulsive gamblers. But RAWA has been a failure in Congress. This week, Senator Tom Cotton (R-Arkansas) introduced S.3376, a bill that seeks to overturn the 2011 Department of Justice opinion that determined that the 1961 Wire Act applied only to sports betting. The DOJ’s opinion essentially allowed states to legalize certain types of online gambling. Cosponsored by original RAWA author Sen. Lindsey Graham (R-South Carolina), S.3376 is coming to be known in gambling circles as RAWA 2.0. 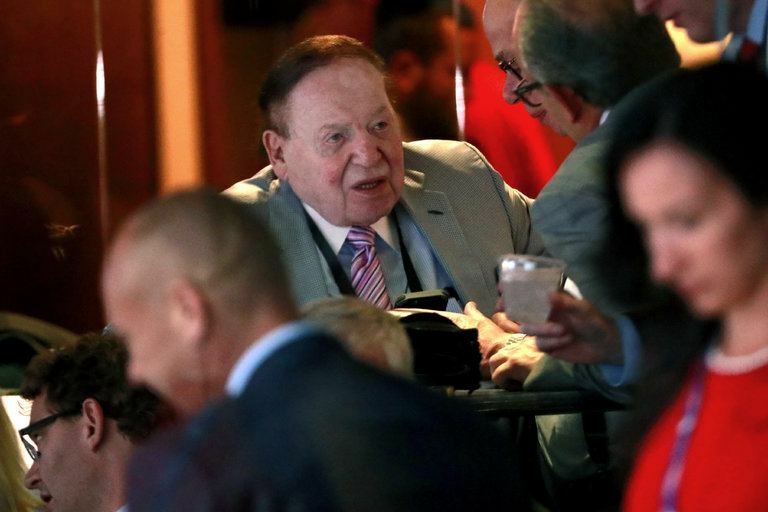 Worth about $30 billion, Adelson is showing no signs of slowing down at the age of 83. Earlier this month, he was in Macau for the opening of his new $2.7 billion posh casino resort the Parisian (no relation to the Paris in Las Vegas). He’ll now return home to Sin City to continue his efforts to relocate the Oakland Raiders and get a major NFL stadium funded, and in record time. Adelson wants to bring NFL games to Vegas, and has pledged some of his own money to build the proposed 65,000-seat stadium. Meanwhile, at his own Sands Expo and Convention Center in Las Vegas, the Global Gaming Expo (G2E) is currently discussing the future of gambling, with a focus on eSports and sportsbetting. The show runs through to September 29. It’s all a bit six-degrees-of-separation, politically and financially speaking. But Adelson is most passionate about Trump defeating Clinton. In addition to the earlier mentioned $100 million, Adelson is pledging another $25 million to an anti-Clinton super PAC. And in August, Adelson gave $1.5 million to the RNC to cover a shortfall stemming from overages at the Republican National Convention.